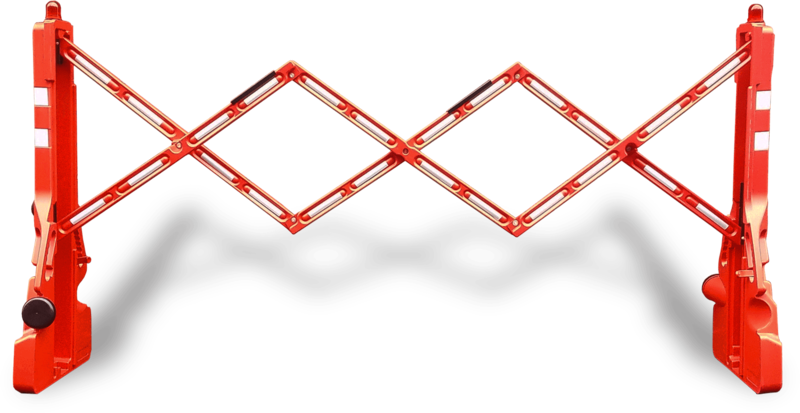 With a collapsed width of just 13" the FlexPro 110 model is highly portable and yet can be joined to other units to make a barrier of any length. Featuring a sturdy steel frame the FP110 is available with aluminium cross members at a weight of 19lb or steel cross members at 26lb. This model has the same features as the FP110 but expands to a full 16' and is designed for creating long run barriers. 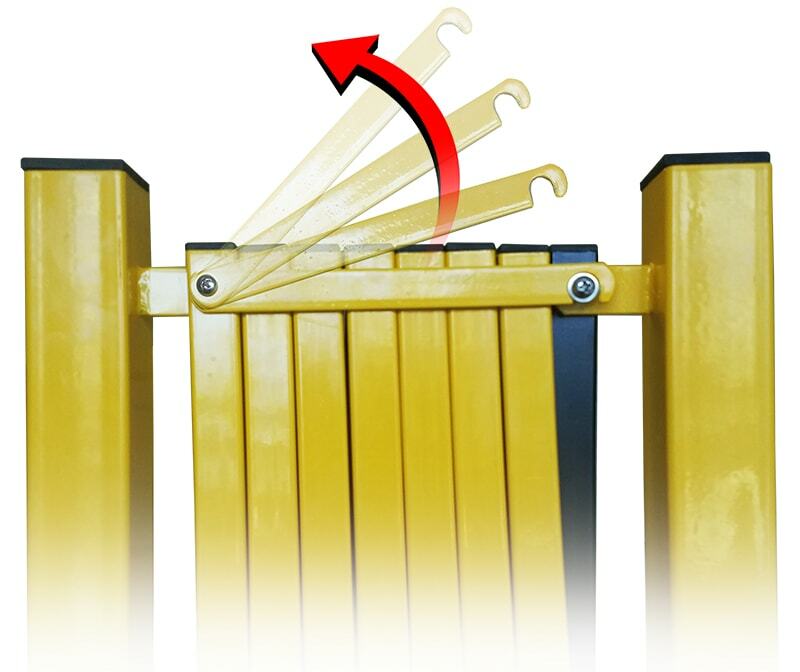 FlexMaster 75 is a lightweight, water barricade made from impact resistant polyethylene. 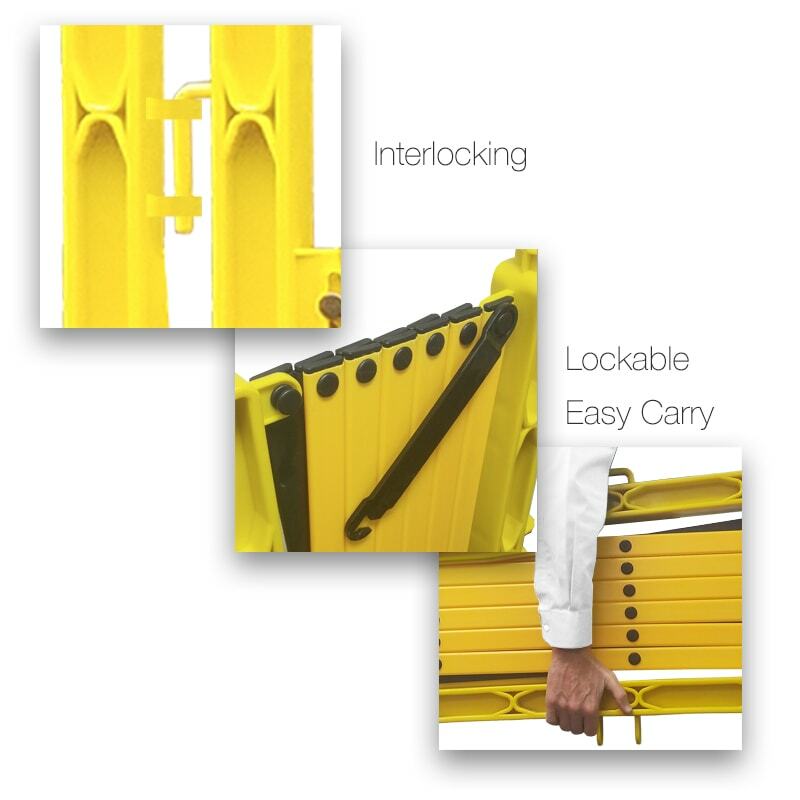 FlexMaster locks in position at the desired length and collapses down into its own frame so it can be carried like a toolbox. 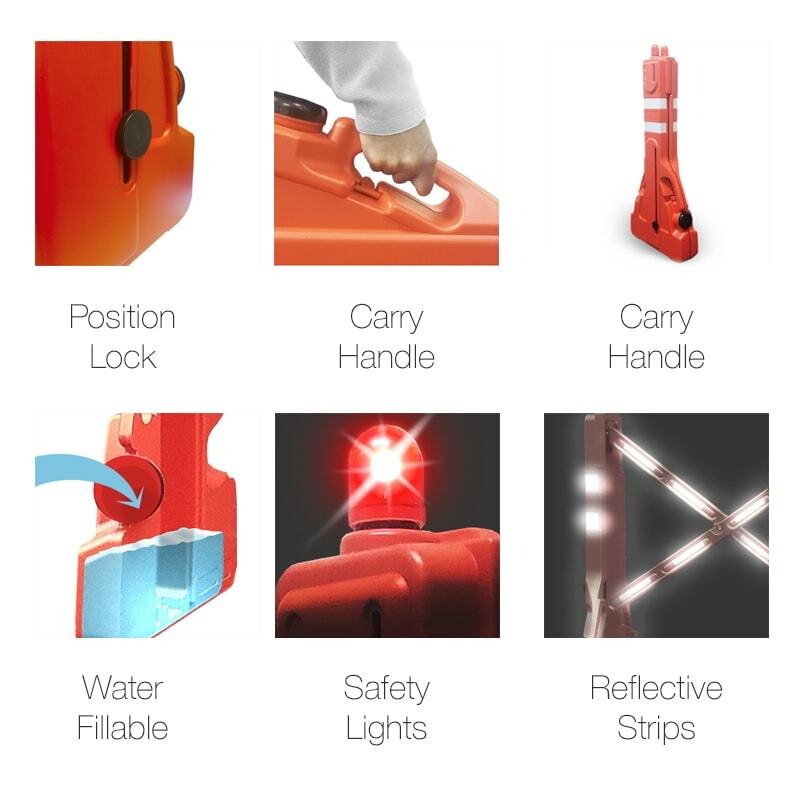 Featuring two battery operated warning lights and 52 reflective panels FlexMaster is ideal for night use. Height : 37" Height : 37" Height : 38" Height : 38"